Marking a major milestone in the development of Sherford the first part of the town’s Country Park has now officially opened to the public. Free to use, explore and enjoy for everyone, from Sherford families and local neighbours, to the wider community and visitors to the area, the park is the new town’s first community space. The opening of the first section of parkland is a major milestone in Sherford’s progression, as well as giving a taste of what will follow. 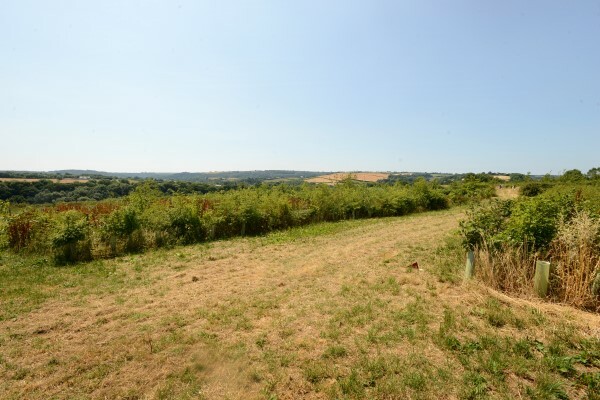 Nestled into the Devon countryside, on completion the entire Country Park will span 500-acres and include abundant open green space, parks, play areas, woodland, allotments and wildlife habitats. 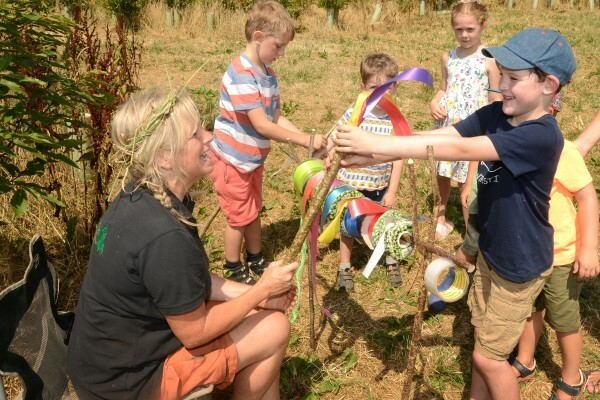 To celebrate the opening of the Country Park, residents, Sherford Vale School pupils and members of the local community were invited to take part in a family-friendly ‘Nature Day’ event. Children attending cut a ceremonial green ribbon to mark the park’s official opening. Hosted by the Sherford Consortium, members of the public had the opportunity to explore the parkland and wildflower meadows that form the beginning of the Country Park, as well as learning more about the town’s varied nature and wildlife. Plymouth-based forest school, WildAboutWoods, ran games and activities, which involved using Sherford’s natural resources and included identifying some of the park’s plants and trees. Steve Warren-Brown, Managing Director of Plymouth based landscaping firm, YGS Landscapes, also welcomed visitors, and provided more information about the new Country Park, as well as explaining how nature and sustainability are integral parts of the flourishing community. Sustainability is at the heart of Sherford, with the Consortium having already invested over £1.6m into creating an eco-friendly community. The commitment to sustainability extends to Sherford’s varied plant life, with over 62,000 trees and 200,000 plants and shrubs planted. A further 2.3km of existing hedgerows have been carefully moved to save important seed banks and support biodiversity. The impressive town entrance also features over 30,000 plants, including daisies, ivies, gorse and ferns that have been transplanted from across the site. Emma Smith, Sherford Consortium said: “It is fantastic that the first part of the Country Park is now open, where the local community can enjoy scenic walks and outdoor activities – it is the perfect spot for a Summer picnic, dog walk or family day out. The opening marks a significant milestone in the development’s history and is set to be the first of many community spaces to open in the coming years. 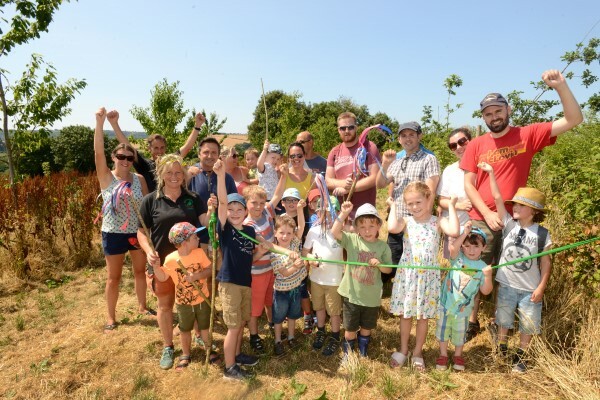 Cllr Michael Hicks, Lead Member for Sherford at South Hams District Council, said: “It’s really good to see the first part of this beautiful country park open to the public and to see the children already enjoying it. Sue Dann, Cabinet member for the Environment and Street Scene Councillor, said: “Plymouth has masses of parks and meadows – these are incredibly important as they give us space to walk, play, explore and breathe. We want every family to have somewhere within walking distance that they can go to unwind and recharge. It’s just as important for people moving into new homes to have the same opportunities. To visit the Country Park, drive along Sherford Road until you reach the car park at the southern edge of the first phase of Sherford. While construction of the new town is still ongoing, visitors are advised to travel by car, but in time the park will be walkable from Sherford and the surrounding area. As this is only the first section of parkland to open, be please be aware that this typical Devon countryside terrain is uneven underfoot, and access involves crossing a wooden stile. As more of the extensive Country Park is completed, more accessible routes will follow.